our resident contractor filled the holes with Spackle and primed the wall. Now it was time to choose the colors. I chose colors that popped and that both boys and girls would like. Actually, someone offered me 2 cans of leftover paint and the blue matched the color I had chosen for the new flannel boards! The blue felt I used matches the wall on the far side of the room (the lighting makes it look off, but the boards are really the color of the wall below). The felt boards are another DIY project. Instructions are here. 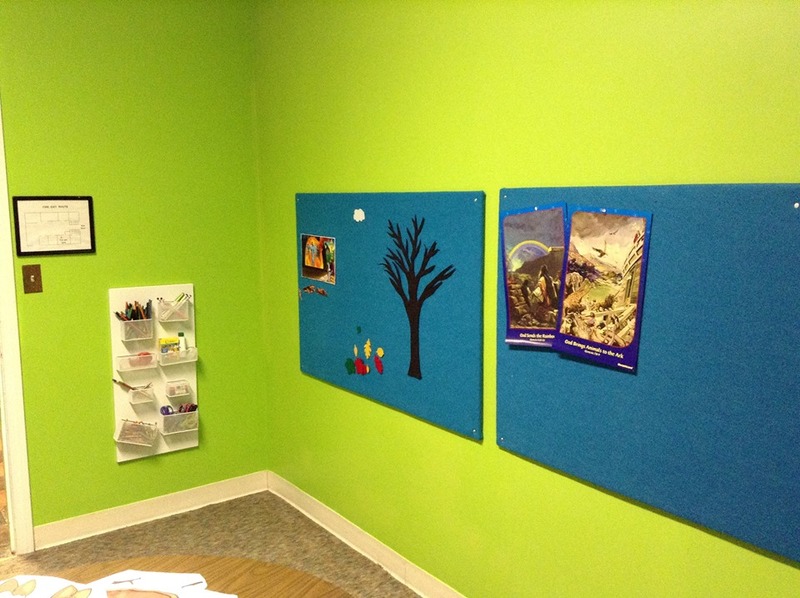 Wall opposite felt boards. Paint matches boards. 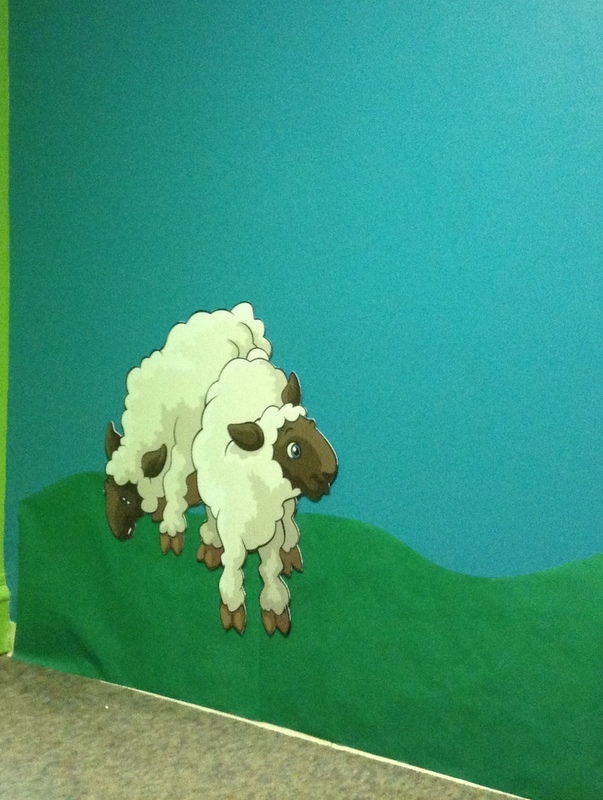 I use this wall to make different scenes for Bible stories. This is the same wall, transformed into a throne room with the aid of some curtain rods I installed near the ceiling. 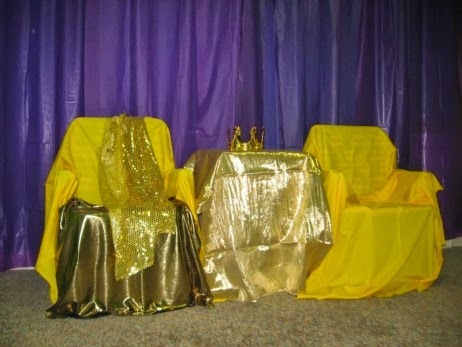 This is great for creating different atmospheres in the room, like the throne room pictured above, or the hillside where the shepherds were watching their sheep when Christ was born.